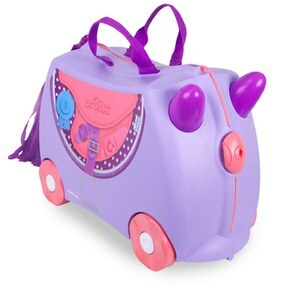 Let Trunki’s Una the Unicorn enchant your little princess. Perfect for all fans of the mysterious and magical creature, the latest Trunki is pale turquoise blue with yellow and pink wheels. 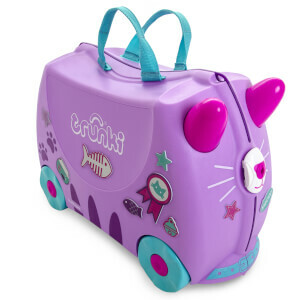 The Trunki comes with a set of pastel coloured rainbow, star and butterfly stickers for decorating fun and even has a rainbow tail and a sparkly horn. Created to keep children entertained whilst at the airport and on journeys, the Trunki has revolutionised the way we travel with children. 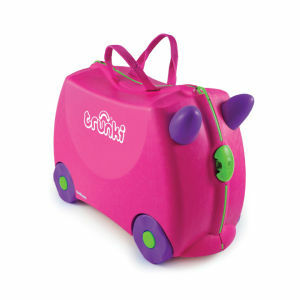 Attractively designed with child-friendly images and themes, the Trunki appeals to parents due to its multi-functional nature: a fun ride-on toy and a spacious piece of luggage, perfect for carrying toys, travel clothes and all the paraphernalia that has to be taken on holiday. 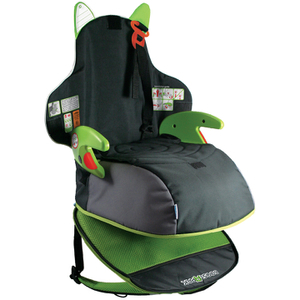 Enjoy calmer times at the departure lounge and on journeys with the Trunki. A case full of fun! I bought this for my 2 year old to take on a recent holiday. She absolutely adores it! She was too little to ride it but she loves the horn and tail. You can pack loads in it and it’s super sturdy. I would definitely recommend it!